If you have multiple things to do and sometimes find yourself struggling to complete assignments and move on to the next project, you are not alone. According to the recent studies, there is more than 20% of the adult population who put off certain projects by allowing themselves to procrastinate. People, who do this, choose doing anything else instead of doing what they have to do as it is much easier to select pleasure over pain. Thus, it is so complicated to beat procrastination as it is a battle against our natural weakness. In this article, you will find some pieces of advice on how to stop procrastinating. The first and main step to beat the problem is identifying your own type of procrastination. There are 5 kinds of procrastinators. Every perfectionist wants to be perfect, and this usually leads to the fear of demonstrating any imperfections. For this reason, they often fail to complete tasks. Instead of completing projects, perfectionists are typically caught up in a cycle of additions and edits. These people prefer staying in the dreaming stage. This lets them not to work for real and avoid any stress. Due to dreaming, an ostrich gets a false sense of achievement, as in his mind, he achieves great goals. Unluckily, these goals usually stay as dreams. Their slogan is "If you do nothing, bad things will not happen to you." Actually, self-saboteurs usually have the fear of making any mistakes. 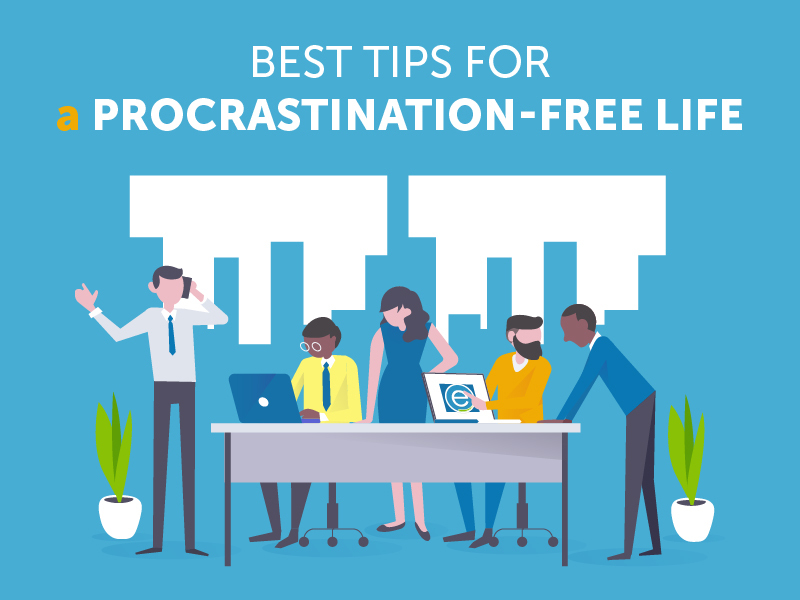 So, instead of wondering how to prevent procrastination, they prefer doing nothing at all. Eventually, they make several mistakes - but also see only small accomplishments. Such people are convinced that deadlines can push them to cope with things better. Instead of creating a schedule to complete each project, they usually enjoy time doing their own stuff before the deadline approaches. Daredevils believe that if they start doing tasks early, they sacrifice their time for pleasure. Typically, such people sacrifice the quality of their work as they do it in rush. This type of procrastinators includes people who are not able to prioritize their work. They do things that they feel like they have to do, instead of thinking through what they actually have to do. Setting up priorities in tasks is a step which requires extra time, so chickens feel it is not worth it. For this reason, they often end up doing mucheffortless tasks that do not contribute to an assignment. Here are some pieces of advice on how to stop procrastinating for every type of procrastinator. For Perfectionists, re-clarify your goals. Usually, perfectionistsprocrastinate because have outgrowntheir goals. They are ever-changing and so are their goals in life. Look over your goals and ask whether they are still what you actually need. Ask yourself, what steps you have to take or what else you have to change. For Ostriches, do the difficult tasks first. Keep in mind that morning is when your brain is most efficient. Use the beginning of every day to complete the most complicated tasks. This is a very important tip on how to beat procrastination, as if you put difficult tasks for later, you will probably leave them as you lack motivation. For Self-saboteurs, write out to-do lists every day. It is a very powerful trick, which increases your need to get everything done. By writing lists, you bring the important tasks to your mind's attention rather than keep them locked away somewhere in your avoidance mode. For Daredevils, create a timeline with deadlines. You are definitely not the person who asks, "what is procrastination?" It is very important to set deadlines for every task you have. The most convenient way is when each deadline completion depends on the next one. This way, you keep yourself on track and are accountable for being in alignment with the overall timeline. For Chickens, break tasks into bite-sized pieces. Keep in mind that small steps may sometimes seem like a slower approach to your goal, but it often actually leads you even faster.